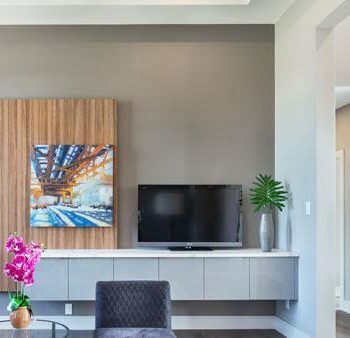 When designing a custom home, you have the opportunity to upgrade certain elements that are usually overlooked. 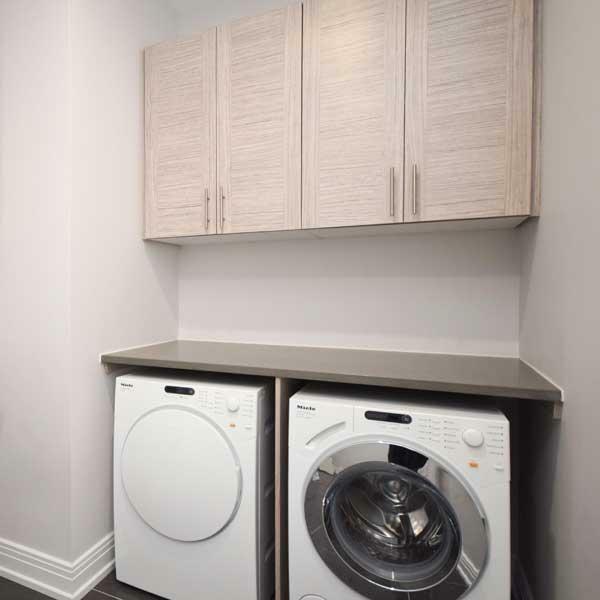 Even though the laundry room is an integral part of the home, many times pre-built homes only designate a corner of an unfinished basement for their use. Instead of hiding the washing machine and dryer, elevate the area by incorporating custom cabinetry, elegant finishes and build your beautiful laundry room in a convenient area of the home. It’s always smart to build storage whenever possible and a laundry room provides a space to store cleaning supplies, extra linens or anything else that doesn’t have a place in your home. The addition of custom cabinetry can improve functionality while also creating a beautiful laundry room that blends with the rest of the home’s aesthetic. 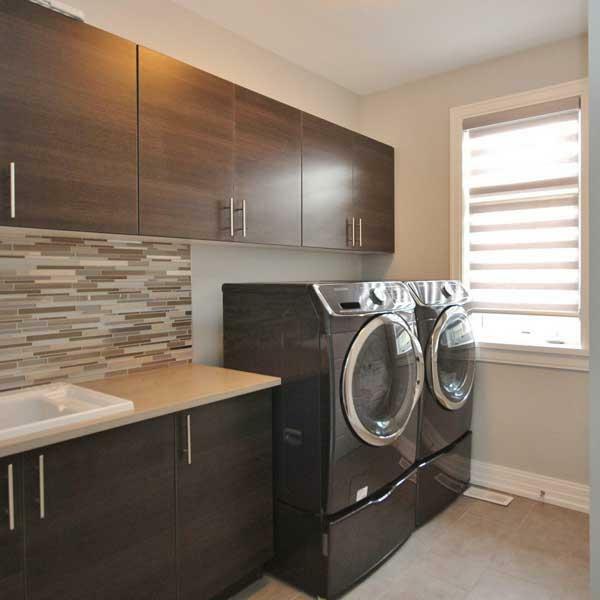 Just because a laundry room has a very utilitarian function, doesn’t mean that you can’t use beautiful finishes. Adding a backsplash can help keep the area look clean while also providing a visual focal point. 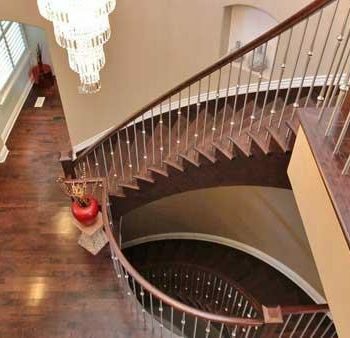 There are also numerous options when it comes to flooring. Tile is the most popular laundry room flooring and with a variety of options, you can design a beautiful space that can withstand the purpose of the room. When designing a custom home, you can also choose where to build your laundry room. When designing a two-storey home, some people prefer to have a laundry room on the same floor as the bedrooms—reducing the number of trips needed up and down the stairs. Others prefer to incorporate laundry facilities in a mud room—providing an easy drop-off point for jackets, boots and sports equipment. There’s no right or wrong answer on where the laundry room should go and the benefit of building a custom home is that you can decide the layout. When designing a custom home, make sure to spend time thinking about areas of the home that are often overlooked. Creating a beautiful laundry room will not only continue the aesthetic of the home, but it will also be functional. we can help you design the home of your dreams.